With UMotion Community you can create as many animations as you like using the well known forward kinematics approach. All basic features like Root Motion, Animation Events,… are included. 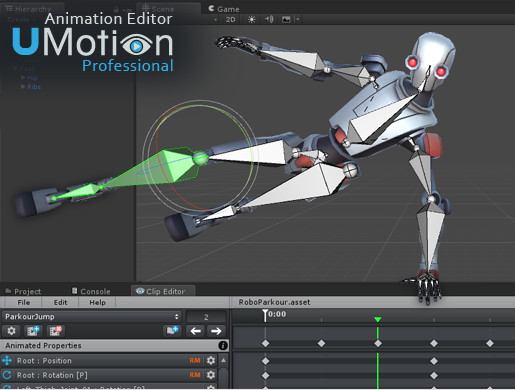 With UMotion Professional you’re able to import and edit animations created in external applications (including motion capture animations). With the Inverse Kinematics and the Child-Of constraint you can create good looking animations even faster. Next PostNext A pink headset will not fix VR’s woman problem.